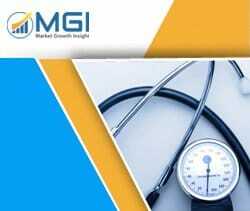 Global Robotic Gastrointestinal Surgery Market 2016-2025: Market Size, Share, Forecast and Strategy is based on a comprehensive research of the robotic gastrointestinal surgery market by analyzing the entire global market and all its sub-segments through extensively detailed classifications. Profound analysis and assessment are generated from premium primary and secondary information sources with inputs derived from industry professionals across the value chain. Specifically, potential risks associated with investing in global robotic gastrointestinal surgery market are assayed quantitatively and qualitatively through GMD's Risk Assessment System. According to the risk analysis and evaluation, Critical Success Factors (CSFs) are generated as a guidance to help investors & stockholders manage and minimize the risks, develop appropriate business models, and make wise strategies and decisions. The report also quantifies global robotic gastrointestinal surgery market in every aspect of the classification from perspectives of product and service, equipment and region. For each of the aforementioned regions and countries, detailed analysis and data for annual revenue are available for 2014-2025. The breakdown of all regional markets and some national markets by equipment type (robot machines, navigation systems, planners/simulators, other equipment) over the forecast years is also included.